Dr Kate Aspinall is an independent historian, writer, and artist. 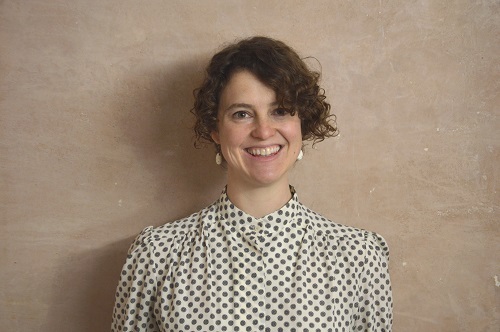 Based in London, her research looks to the role of drawing in 20th century British visual culture, and she is currently working on a monograph, The Paradox of Medium Specificity: Drawing Practice and Twentieth Century Modernism in Britain. 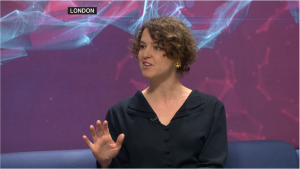 She is an Arts Society lecturer and has spoken at a range of galleries and public institutions, including the Courtauld, Tate, the Towner and Pallant House. She was previously a long-term consultant for the Roy Lichtenstein Foundation and a Trustee of the Association for Art History, representing freelance and independent art historians. 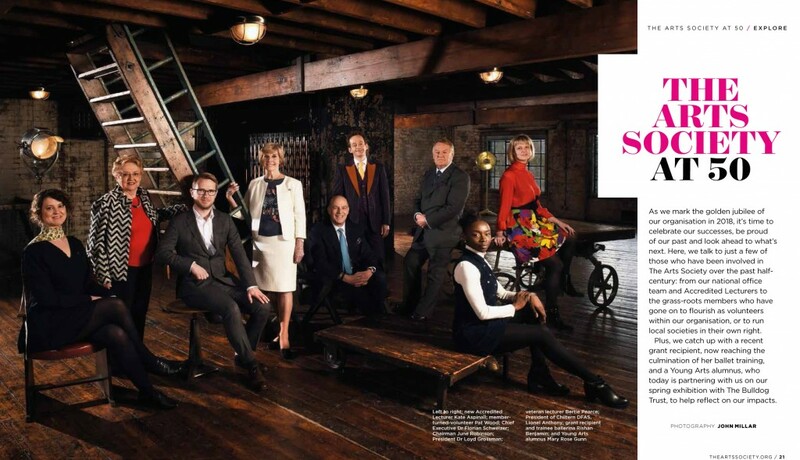 She has degrees from the University of St Andrews, the Courtauld Institute and the University of East Anglia. 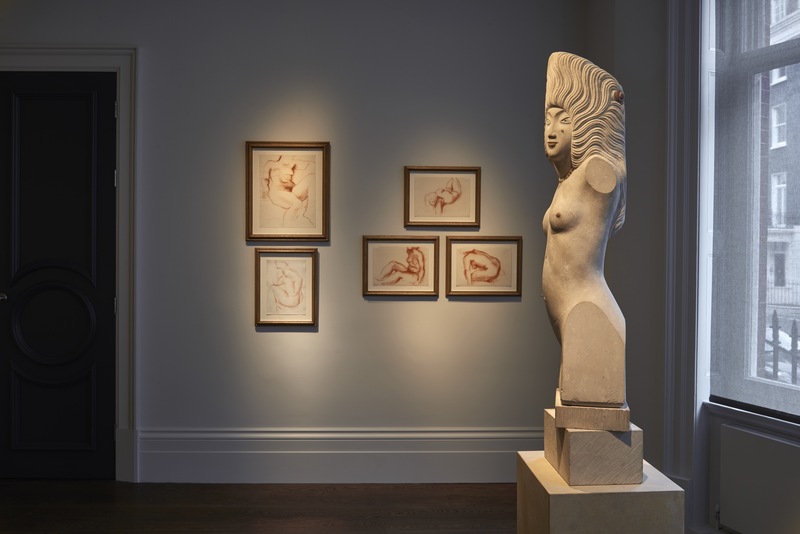 Join me this July to examine the tensions around the concept of skill in 20th century British art, from the emulation of naïve art by Christopher Wood and Ben Nicholson in the 1920s to the desire for expressive freedom among David Hockney, R.B. 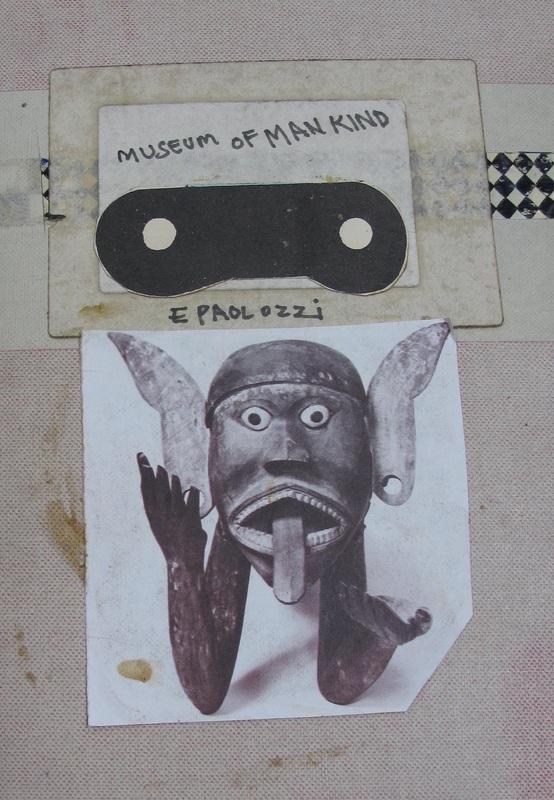 Kitaj and many others in the 1950s and beyond. Join me this June to explore how diverse artists working in Britain participated in a revival of drawing in the 1960s and 70s. From R.B. Kitaj and David Hockney to Frank Auerbach and Barry Flanagan, drawing’s potential, as liberated from preparatory work, was widely explored and appreciated. This series looks at the often overlooked role played by drawing in the rebellious momentum of the British twentieth-century. Following World War II, New York took the lead from Paris, Vienna and Berlin in the vanguard of artistic developments – and the focus was on colour. It was here that artists grappled with the lingering effects of art historical meanings for individual hues and encountered innovative technologies that gave colour new possibilities. Consumer culture, led by the rise of colour TV, added a novel vernacular element, leading to collective understandings of colour that have since been normalised across the Western world. Artists’ responses in 1950s and 1960s were as varied as they were explosively creative, investigating not only the properties of colour itself (Barnett Newman, Ellsworth Kelly) but also texture (Josef Albers, Mark Rothko) and its symbolism (Andy Warhol, Roy Lichtenstein). This talk will examine some of these developments in colour, situating them within the broader culture and exploring the sometimes perplexing power of these pieces. Lecture ten of ‘Colour: Theory, Practice, and Meaning in Byzantine and Western Art’, a part of the Showcasing Art History, Series XII 2017-2018. Click here for more information about events on offer. Click here to continue reading my full response as well as Crow’s text and replies from other contributors. An hour-long talk exploring Bomberg’s teaching and its influence on the practices of canonical figures in British 20th century art, including Dennis Creffield, Gustav Metzger, Leon Kossoff and Frank Auerbach, among others. Followed by a complimentary glass of wine. Booking essential. Judith Jammers and I are re-launching the London branch of Art History in the Pub with a series of four talks to be held every other month, January through July 2017. William Coldstream’s peculiar method of working – measuring precise relationships using a pencil held at arm’s length – has overshadowed his artistic production. Described and derided by many as “objective”, both the method and the works are both reconsidered in this talk, in which I disentangle the various strands of objectivity and subjectivity in Coldstream’s practice, finding the raw emotion at the heart of his paintings. 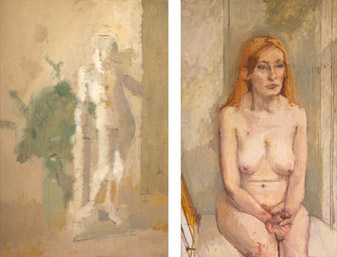 Gallery talk in honour of the upcoming exhibition at Piano Nobile ‘William Coldstream | Euan Uglow: Daisies and Nudes’ from 22 November to 28 January. David Bomberg famously proclaimed that art could not be taught, and yet he did teach. 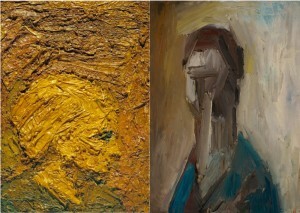 His approach, often called the search for ‘the spirit in the mass’, became a rallying cry to meld self, subject and art. It went far beyond a mere process of creation to become instead a sense of personal integrity known through artistic expression. For eight years Bomberg’s teaching moulded the artistic consciousness of some of the most dynamic personalities in the rising post-war generation, including Dennis Creffield, Gustav Metzger, Leon Kossoff and Frank Auerbach, among many others. His students, alone or in exhibiting collectives, became the visible icons of a ‘school of thick paint’ that challenged the divide between the critical camps of figuration and abstraction. This talk will explore the details of Bomberg’s instruction and the various ways he influenced the practices of canonical figures in British 20th century art. Please visit the AAH website to learn more about the Freelance and Independents and how to become an AAH member. Click here to scroll through the AAH online directory. 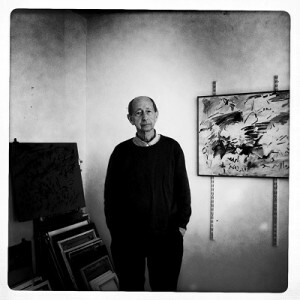 A conversation with Dennis Creffield, a distinguished artist and attendee of Bomberg’s classes from 1947-1951 as well as the youngest elected member of the Borough Group. Bomberg’s approach had a significant, and lasting, impact on Creffield’s practice. 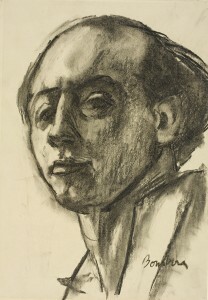 Creffield will describe his experience of being taught by Bomberg as a young man. The discussion will look at Bomberg’s approach, the atmosphere and dynamic of this unique pedagogic setting, Bomberg’s legacy, Creffield’s practice and more. 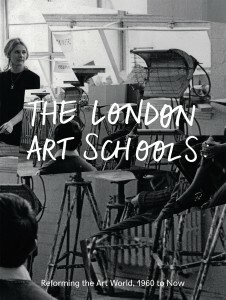 Paper commissioned for “Keep the Paint Moving”: David Bomberg and the Art of Radical Teaching (22 April – 2 July 2016) that addresses ways to understand Bomberg’s teachings against and within the rapid changes in art education in mid-twentieth century Britain, considering the claim that Bomberg created an environment set apart from the trends around him. 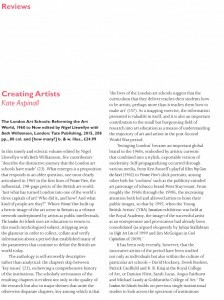 I take the position that the culture of Bomberg’s classes laid bare fundamental concerns; specifically, how belonging to a ‘school’ positions an artist within an art world that is increasingly aware of itself as a consumer economy and yet remains reliant on the romantic myth of an artist as a heroic individualist. 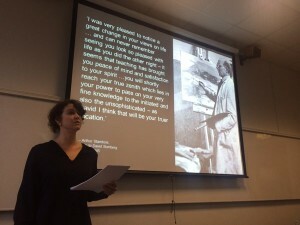 Looking at the culture of Bomberg’s classroom and the community of makers that it crystalised, I proffer that there was a school of Bomberg, set apart from conflations with the Borough Group or the pejorative label of ‘Bombergians’. Understanding the dynamics of this and the concurrent reactions against it sheds light on a deeper insecurity about the limits of art education within late modernism. 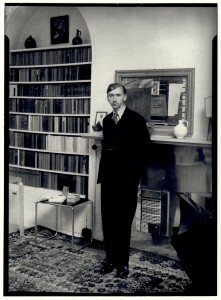 In an article in The Burlington Magazine of 1933, British theorist Herbert Read (1893–1968) proposed “a basic linear signature of our race.” His invocation of line as a mark of identity is representative of a wider community of thinkers who linked the British avant-garde with medieval illumination via the watercolors of the late eighteenth and early nineteenth centuries. Theorists and scholars such as Kenneth Clark (1903–1983), William George Constable (1887–1976), and Nikolaus Pevsner (1902–1983) joined Read in identifying drawing as an essential aspect of medieval illumination that had re-emerged in the compositions of the Romantic period as well as those of the Neo-Romantics, including John Piper (1903–1992) and Paul Nash (1889–1946). Theoretical enthusiasm for this lineage arose not only from aesthetic affinities but also from political utility. Amid concerns over mounting political extremism, notions of medieval art were useful as emblems of British precedent for sustainable and proud work. This paper traces the use of line at the time, most notably by Herbert Read, as a symbolic mark that promoted a balance between individualism and collectivism through its connection to the medieval period. Furthermore, I argue that harnessing the moral connotations of line was possible, and particularly effective, because of culturally available understandings of the drawn line’s distinctive intimacy. 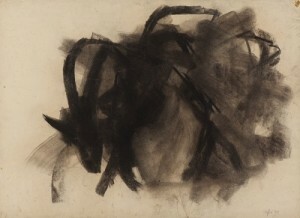 Paper placing the drawings within The Elemental Force of Charcoal: Drawing at the Borough in a wider context, with reference to seismic shifts that occurred in arts education and drawing practices of the 20th century, as well as the historical use of charcoal as a medium. It is a written version of a tour presented on 29 January 2016 at the Borough Road Gallery as part of SLAM Fridays . 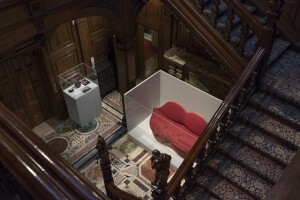 For more information on the exhibition and to download a pdf of the paper, click here. Critic and curator David Sylvester played a pivotal role shaping the intellectual as well as the actual consumption of avant-garde art in the post-Second World War period and yet a key series of exhibitions he curated, focusing on the practice of drawing in the 1950s and early 1960s, has been all but ignored. 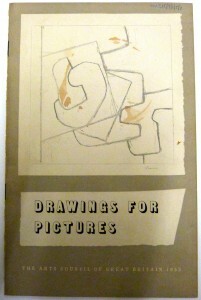 Drawing for Pictures (Arts Council, 1953), Recent British Drawings (ICA 1954) and Drawing Towards Painting (Arts Council, 1962) all steered public engagement with the eclectic and often private practices of drawing at a volatile moment for art institutional structures in Britain. Sylvester’s exhibitions place him among the international vanguard for his use of drawing theory as a tool to explore the role of the artistic individual within her practice, a perspective that points toward the role drawing took in process art and conceptualism in the ensuing decades. Many years before Lawrence Alloway’s celebrated essay on Sol LeWitt (Artforum, 1975) inspired an international audience to reappraise drawing in light of conceptualism, Sylvester harnessed drawing to speak to the limitations of modernism and individualism. Sylvester’s analysis arose from the particular socio-cultural sensitivities of 1940s and 1950s Britain about the role and obligations of creativity. This paper re-examines these significant exhibitions in order to consider Sylvester’s, and by extension Britain’s, place at the forefront of the subsequent rise in international exhibitions devoted to drawing practice. To join our mailing list, which is available to both AAH members and non members alike, click here. 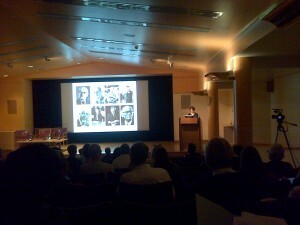 Please also visit the AAH website to learn more about the Freelance and Independents and how to become an AAH member. 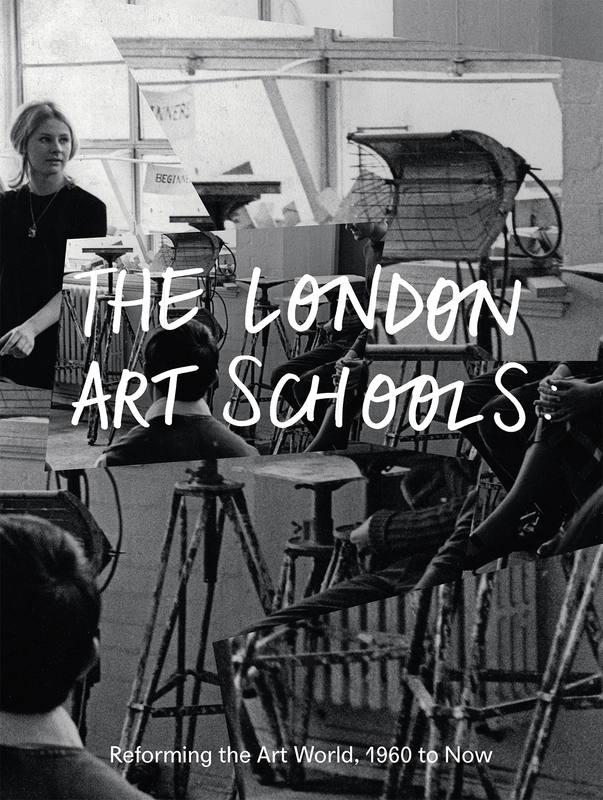 The publication of the First Report of the National Advisory Council on Art Education (1960), otherwise known as the first ‘Coldstream Report’, is a graspable moment of displacement in the British art world. It represents a shift between an educational system based on disciplined studies of techniques and crafts to one based on conceptual thinking and design. Its legacy is marked by trauma and confusion that deepened as the decade matured, spilling over into creative outbursts and political revolt. It has become a symbol of oppressive, narrowly defined rigour and prejudiced artistic values. As such, both the report and the painter and educator who leant it his name, William Coldstream, have been blamed and demonised. 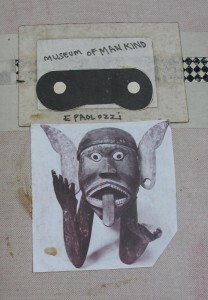 This paper approaches the report as an image, for it is not only invested with symbolic, representational meaning, but it also is among those victims of iconoclasm – works of art, signs, inscriptions or pictures – that act in the words of theorist Bruno Latour “as a mediation to access something else”. 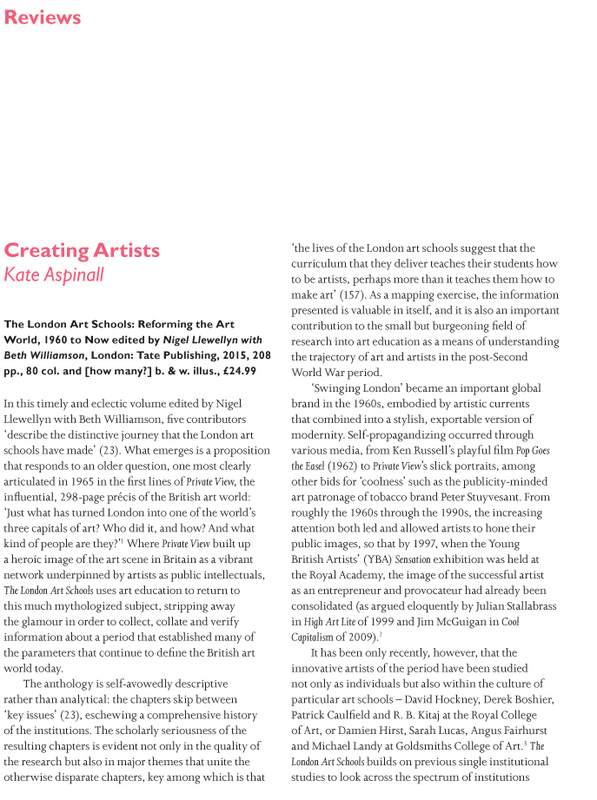 The Report is a window to a set of values for education, but also for the perception of the artist’s relationship to society. Half a century later, it is important to carefully weigh the document itself against the politics and motivations of the diverse committee members who authored it. Using ministerial archival records opened in the late 1990s, this paper reflects on how such a document presents a methodological conundrum in tracing intention and effect, as well as the dangers of conflating it with any one participant. Celebrity historian of science Jacob Bronowski interpreted Polish émigré artist Feliks Topolski’s use of line as an analogy for science’s use of subjective judgment in the ‘Knowledge or Certainty’ segment of Bronowski’s 1973 BBC television series The Ascent of Man. The culmination of Bronowski’s views on the relationship of scientific authority and epistemological method, the episode examines the ethics of interpreting scientific judgement through Topolski’s particular dynamic aesthetic. As a visual embodiment of Bronowski’s ideal epistemological approach, Topolski’s drawings become instructive rather than merely aesthetic – helping a public removed from scientific realities to conceptualise the language and significance of subjective (and thus fallible) judgement as a possible alternative to unreflective technocracy. 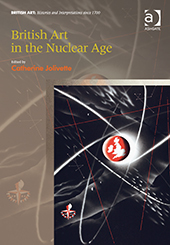 Through addressing the developing paradoxes for nuclear scientists as authorities in the 1950s and Bronowski’s decades-long engagement with these discussions, it is possible to trace the seeds of that later collaboration, which was formulated around the hotly debated twenty-five year anniversary of the atomic bombings in Japan.